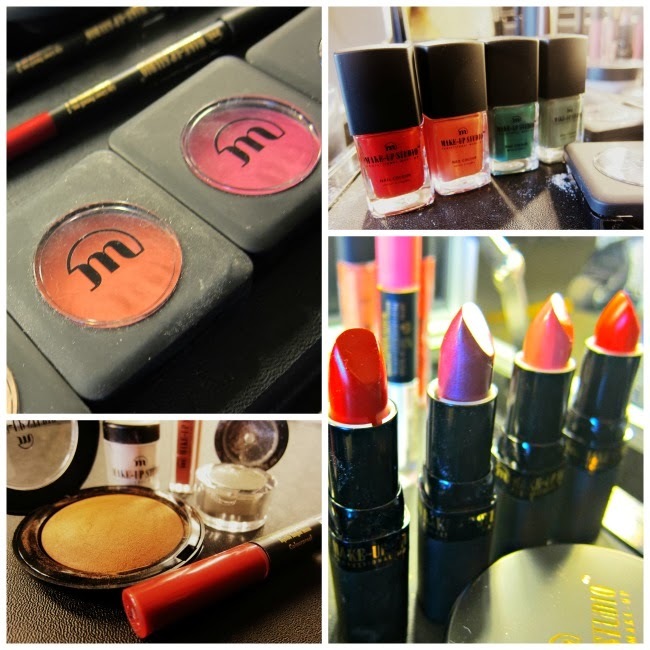 Have you heard of the Make-Up Studio beauty line? Developed in Amsterdam in the 80s, it's now available in more than 60 countries and promises quality at accessible price points. I confess total ignorance of the brand until it recently launched in Ireland - you'll find it in McCabes pharmacies - so I was interested in checking out the range. Some snaps from the launch - sorry for the poor lighting! A key message for the brand seems to be that their prices are pitched 20% lower than MAC's but, to be honest, I'd expect no less - this is a pharmacy brand after all, and the packaging, while perfectly serviceable, reflects that. However, having tried a couple of the products I was given at the launch, I confess to being quietly impressed. 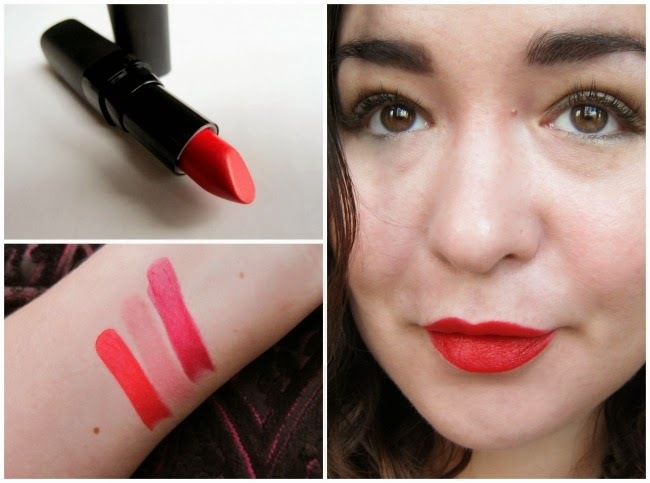 This lipstick, which sadly lacks a name but is #23, is gorgeous - the formula is rich and creamy, while the colour is vibrant, pigmented and opaque in just own swipe. It's also longlasting, but feels comfortable and non-drying on the lips. There's an unoffensive vanilla scent and a massive array of shades which are well worth checking out. €16.95 is the damage but you're getting a lovely product for that price. I also like the Fluid Liner, €15.95, which gives a really intense black line and is remarkably easy to apply. That's #23 swatched first beside some other colours from the line. Because the brand was developed by makeup artists, the range also contains some interesting pro offerings like a six colour concealer palette for sculpting the face, and a range of tinted neutralisers to correct colour imperfections. Products get a gold star, too, for being hypo allergenic and cruelty free. Next time you're passing a McCabes, do stop and have a snoop around the stand. Or maybe you're already familiar with the line? In that case, tell me what I should check out next! Never heard of this brand but the 3 lip colour swatches on your arm are gorgeous! You are really rocking that red lip - love it! Sounds fab, never heard of it but will check it out!!! What a great shade of red. Have a great week. Isn't it the best thing when a company finally comes to your country. I'm glad most are thinking global nowadays. There is a need. 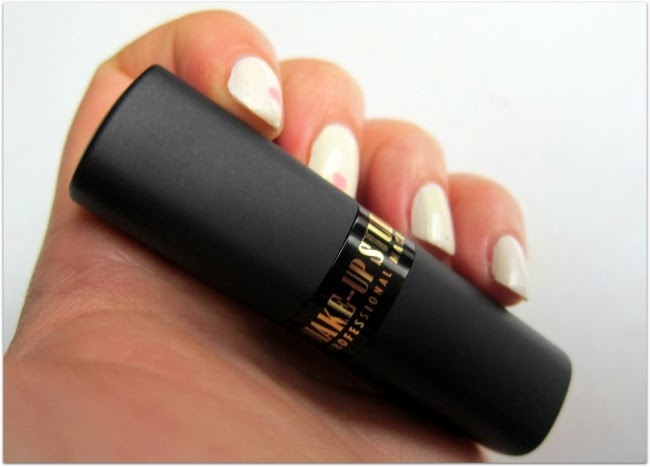 the shade of the lipstick is perfect for you!